By adding modern and high performance doors to a new-build or residential refurbishment, you can help to significantly enhance the appearance, security and energy efficiency of your customer’s property. Whether you are working on a contemporary townhouse, high-rise property or period cottage, we have a comprehensive selection of PVC-U door systems that deliver the best in quality, design and performance and are available in a range of styles and applications. The variety and versatility of Profile 22 door systems, combined with their aesthetic appeal, durability and high-specification security features will ensure you can meet the needs of your customers’ individual door requirements. 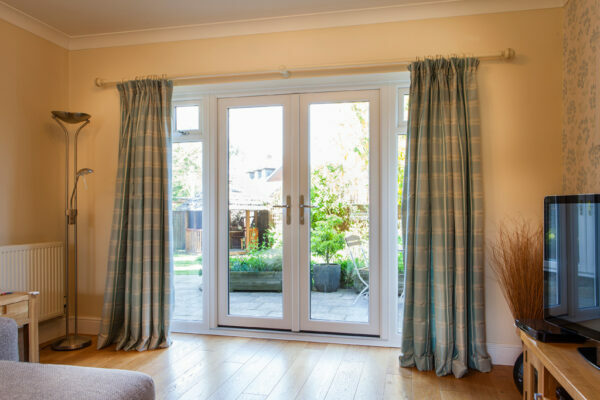 Whether you’re working on a domestic or commercial project of any size, we can help you by offering a range of sliding door systems, bi-fold doors or composite entrance doors in all styles, sizes and finishes. All of our systems are available with dedicated hardware and security locking systems that comply with the Police approved Secured by Design scheme. This gives your customers peace of mind that not only are they getting great-looking, low-maintenance doors that will last for years, but that their property is also secure and safe from unwanted intruders.